Last November, I did the seriously back-breaking job of digging two long trenches in my new allotment that obviously hadn’t been dug over for several years: pulling out all of the weeds, and filling it up with lots and lots of lovely tulips. At the time, it felt HARD!! And one had to wonder whether it was all going to be worth it, toiling with my spade in the icy Chiltern air. – Ganders Rhapsody – stunning and HUGE pinky red tulip which I couldn’t take my eyes off!! – Angelique – dainty, pretty….a favourite with the brides. All was quiet through December and January whilst the little ladies readied themselves out in the field….then come February, they started to appear, the odd one or two peaking through the frosty soil initially…..and then in their droves!! The earliest signs of Spring were back!! Well, five months on from those back-breaking Saturday afternoons out in the freezing cold, and I can tell you, it has been all worth it!! 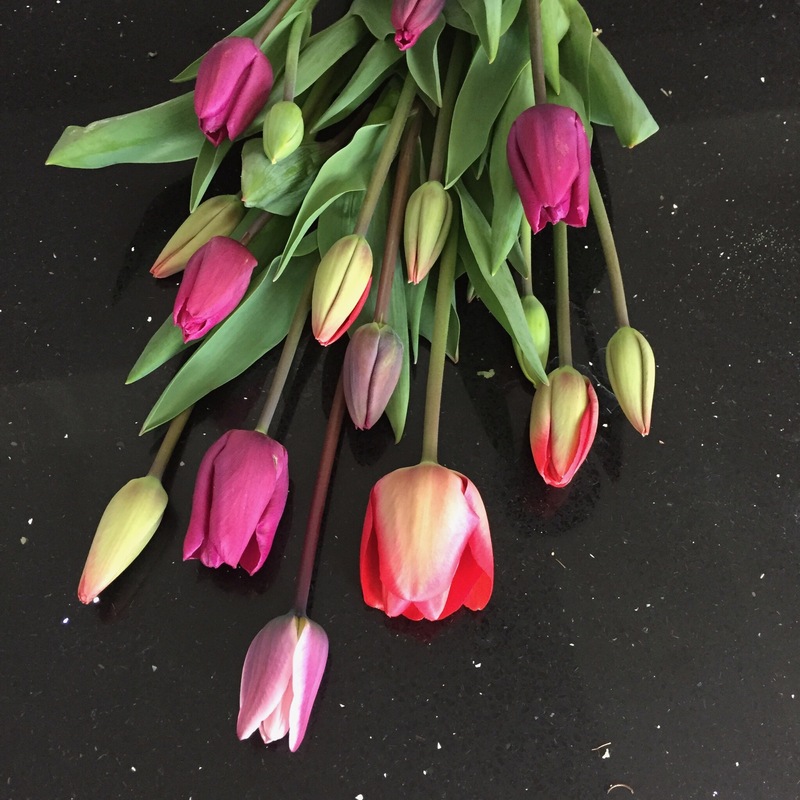 Here’s a little taster of some of the earliest… but I’ll be writing a sequel to this blog, imaginatively named Tulipmania 2 where you’ll see more gorgeous pics of my homegrown tulips.